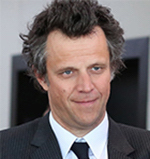 Publicis Groupe CEO Arthur Sadoun reports 4Q revenues inched ahead 0.4 percent to $2.5B to wrap up what he calls “a productive year” for the French ad/PR holding company. Organic revenue dropped 0.3 percent due to a “higher-than-expected rate of attrition in the traditional advertising business" in the US. He added that the “model connecting data, dynamic creativity and technology is working beautifully and fits the current and future needs of the clients. For full-year 2018, Publicis posted a 3.9 percent drop in revenues to $10.2B and a 0.1 percent organic growth rate. Though Publicis began 2019 with optimism, Sadoun he expects a “bumpy ride in the first quarter due to prolonged effects in the first months of the year” of advertising client losses of Q4 2018. He expects Publicis will achieve a four percent organic rate in 2020.